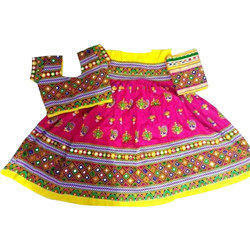 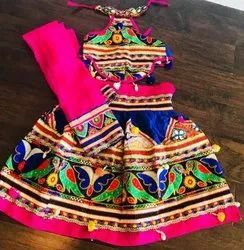 Leading Manufacturer of ladies chaniya choli, cotton embroidered chaniya choli, ladies designer kediya, indian kids chaniya choli, indian fancy chaniya choli for garba - navratri chaniya choli and embroidered chaniya choli from Vadodara. 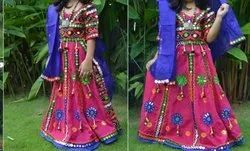 We are dedicatedly involved in providing an excellent quality array ofLadies Chaniya Choli, for catering the various needs of our clients. 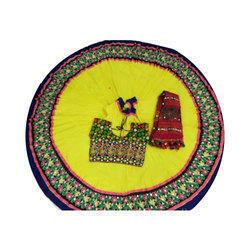 We are ranked amongst the most trusted firms deeply engaged in offering a wide range of Cotton Embroidered Chaniya Choli. 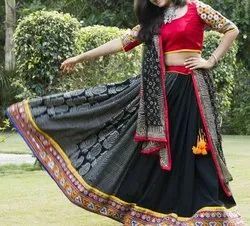 Fully Both Side ORIGINAL MIRROR WORK BANDHEJ Chaniya Choli. 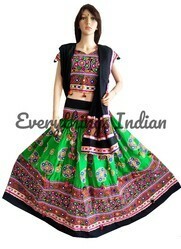 Traditional ethnic Chaniya Choli in cotton wear. 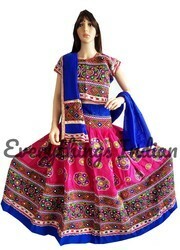 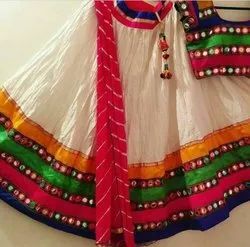 Garba style/ Gujarati style/ kutchi style. 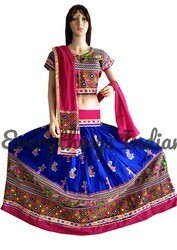 Fully stitch - ready to wear - Heavy embroidery work on front and back of the Choli. 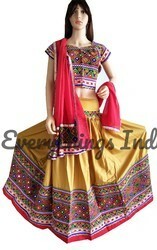 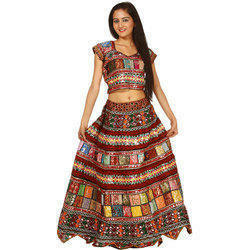 With a firm commitment to quality, we are involved in offering a wide ambit of Embroidered Chaniya Choli. 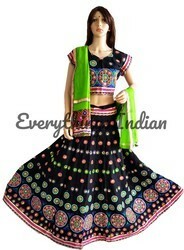 Fully Both Side Block printed Chaniya Choli. 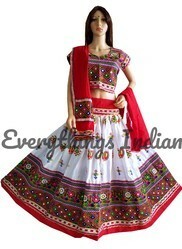 Traditional ethnic Chaniya Choli in cotton wear. 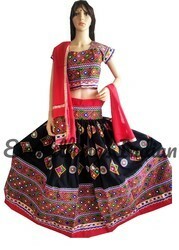 Garba style/ Gujarati style/ kutchi style.